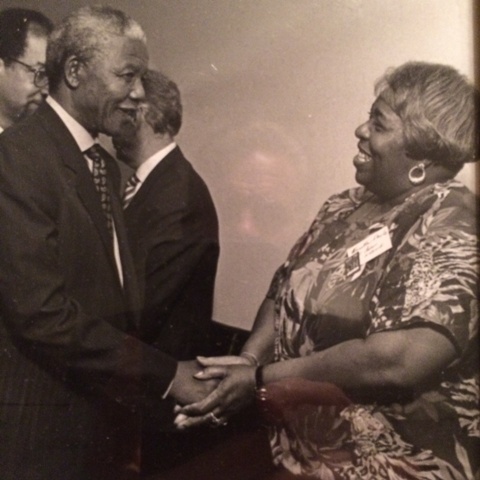 Nelson Mandela’s visit to Chicago was an inspirationfor many in the Labor Movement, with an untold ripple effect in the years that followed.For one woman, Mandela’s visit provided a special opportunity to meet him and be on stage with him at a labor fundraiser. Rosetta Daylie had a starring role as keynote speaker for Nelson Mandela’s visit during the labor rally in 1993. As an associate director with AFSCME Local 31, she was also part of the Labor Network Against Apartheid which helped put the rally together. Daylie actually met Mandela for the first time when he was a keynote speaker at a labor rally in Miami in 1990. But even more special, she said, was being in Soweto South Africa to work as an election monitor when Mandela was elected President in 1994. ”And just being there, and being in his presence, being part of that was just a wonderful experience for me, something I’ll never forget, It’s one of the high marks in my life,” Daylie tells FOX 32. Rosetta Daylie said Mandela’s visit to Chicago motivated her and other union leaders to fight for causes here. 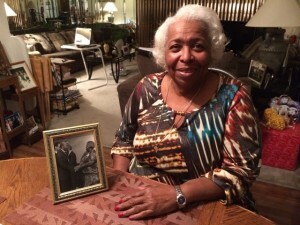 She said she found out about Mandela’s death on Thursday afternoon in an email from her son which she said left her with a feeling of sadness, yet at the same time peace for his sake.